By the time we reach the end of the year, it is likely that Meadowbrook will have posted it's second best year on record going back to 2005. It's highly desirable location on the east side of Mahan Drive, just short of Capital Circle, has buyers wanting more of these single family homes built on spaciously wooded lots. With homes built from the 1980s through the 1990s, Meadowbrook offers both 3 and 4 bedroom single family detached homes and well established yards for outdoor recreation. 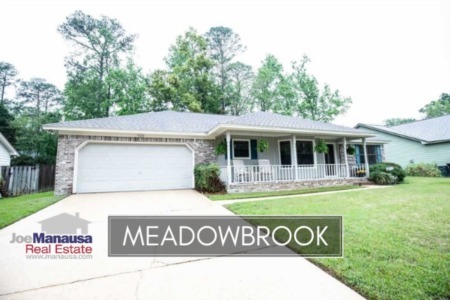 Homes that are priced correctly in Meadowbrook are in high demand and sell right away, so if you find one you like and you know it's a good value, don't let it slip away to another buyer. 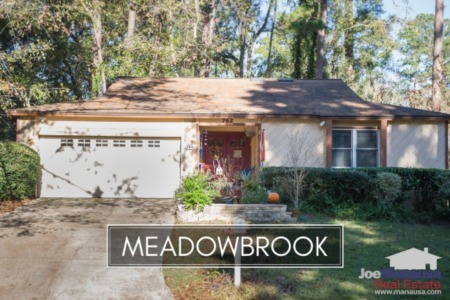 Currently, there are six homes for sale in Meadowbrook, and three are already under contract. It is important to note that the narrative contained below is for sales through December for all previous years, but through the first ten days of September in 2016. The graphs and the closed sales table will be continuously updated into the future (meaning bookmark this page if you always want to know the current status of homes in Meadowbrook). Average home prices in Meadowbrook have recovered nicely this year (as we forecasted in our previous home sales report for Meadowbrook). The average home sales price is $179,791 thus far in 2016, the highest average price recorded since 2009. Home sales activity has picked up over the past few years, and this year is destined to be strong. Twelve homes have sold and closed in 2016, and it appears as if two more will occur before the end of the month. Average home values in Meadowbrook have soared in 2016. For quite some time we have been SCREAMING this neighborhood was undervalued, and people who have purchased recently at values well below $100 per square foot are already sitting on equity! Through the tenth of September, the average value of a home sold in Meadowbrook was been $111 per square foot, which is the best we've seen since 2010. It is not likely that you will (EVER) find a well-conditioned home here for less than $100 per square feet, but that does not mean these homes are great values now. 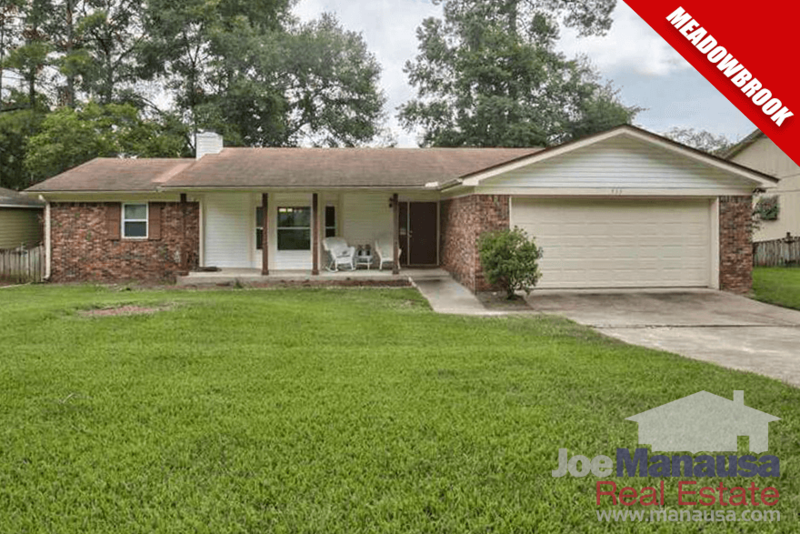 Look around Tallahassee, these homes are still a bargain compared with what else you can get for a comparable location and property type. Thus far in 2016, the average size of the 12 homes sold has been 1,622 square feet. I hope you enjoyed our September 2016 update on home sales in Meadowbrook, please feel free to CLICK HERE and drop me a note if you have questions not covered in this report.